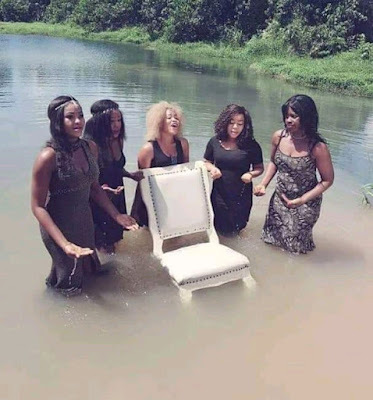 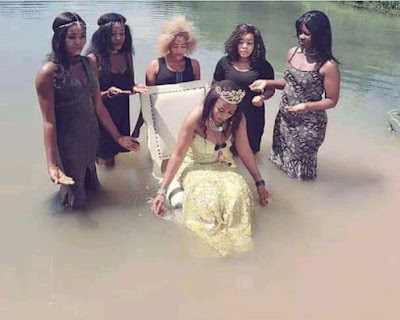 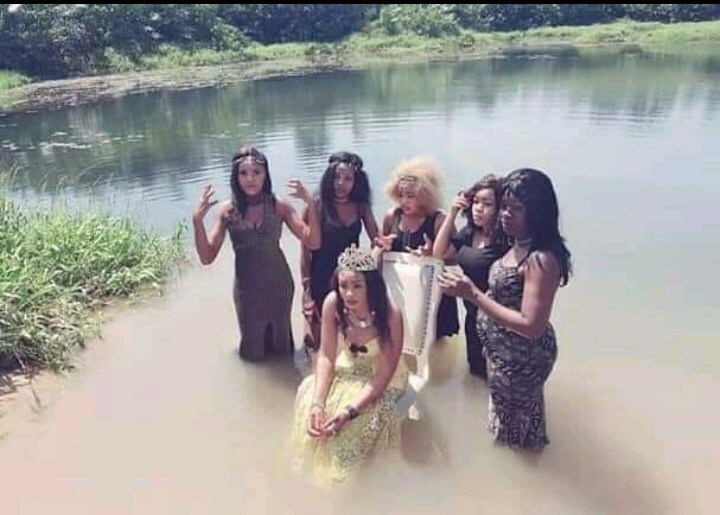 These photos of a group of ladies in a stream posing for photos has gone viral online with claims that they are from a bridal shower photoshoot. 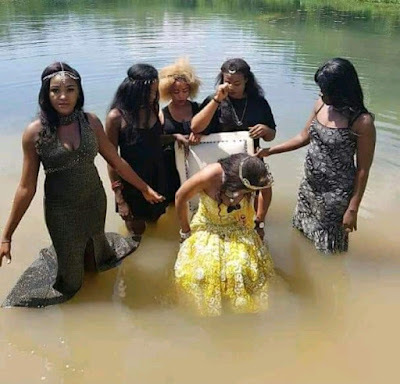 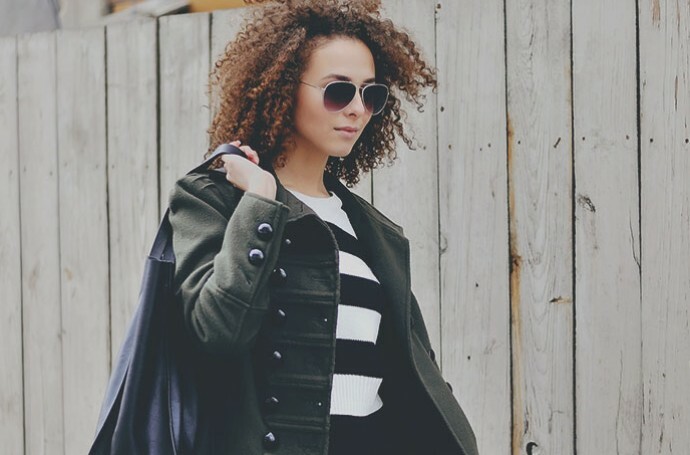 The ladies who dressed to the nines only to plunge into the stream have left social media users amused. The women were in black dresses, except for one dressed in a yellow gown and sat on a chair held by the other women in the middle of the stream.